Karen Robards has long been a favorite of mine, especially her heroes typically tall, dark and handsome irascible sorts with the exception of Michael Garland but he fits into a class all his own. 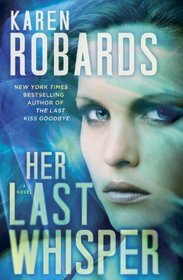 The Last Victim, the first in the series was a departure from Ms Robards previous romantic suspense novels with a darker edge closer to the work of masters of the horror genre while still preserving her engrossing love stories. This grittier turn has continued throughout the series and despite myself I have become completely invested in the doomed love affair between Dr. Charlotte Stone and her former prison inmate ultimately paroled by way of death Michael Garland. SYNOPSIS – The last time criminal psychology expert Dr. Charlotte “Charlie” Stone helped capture a serial killer, it was nearly the last thing she ever did. Now she’s determined to stick to research—and leave risk-taking to the law. But when dangerous duty calls, she can’t refuse. And there’s no greater danger than the Cinderella Killer, a charming predator who lures beautiful, single women to their deaths. FBI agent Lena Kaminsky fears her missing sister has fallen prey to the seductive psychopath, and desperately needs Charlie’s unique skills before it’s too late. Joined by Special Agents Tony Bartoli, Buzz Crane—and her ghostly bad-boy lover, Michael Garland—Charlie heads to Vegas to track down Lena’s sister before the Cinderella Killer seals her fate. 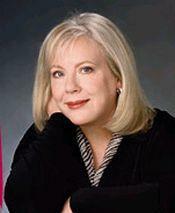 Dr. Charlotte Stone’s life is complicated, very complicated. The only living victim of the Boardwalk Killer’s spree, she channeled her survivor’s guilt into the study of medicine, specifically the psychiatric study of serial killers. Her work at Wallens Ridge Penitentiary allows her to get close but not too close to the subjects of her study. Though only a short time has passed since the apprehension of the “Boardwalk Killer” and Charlie’s own near drowning at the hand of the “Gingerbread Man”, she is determined to return to her work at the prison. You see, Charlie’s sees “dead people” not unlike a certain M. Night Shyamalan movie we all know and love. Convinced that she will be discounted as crackpot, she keeps her ability to see the ghosts of the recently violently departed secret. However Charlie is now hearing “voices” following her recent trip beyond the veil. What is unclear is if this a progression of her gift? Or something more sinister? Before she can investigate any connection between the recent spree of deaths at the prison, Agent Tony Bartoli returns to plead for her help on behalf of Kaminsky whose sister has disappeared. This is particularly ironic as Lena Kaminsky has long been Charlie’s harshest critic. Against Michael’s pleas that she stay out of this investigation Charlie agrees to accompany Tony to Las Vegas where the women were on holiday. The tenuous connection between Charlie and Michael is further threatened by his continued efforts to protect her from herself and keep her from choosing to pursue a romantic relationship with the saintly Agent Bartoli. It is clear that their union cannot withstand the pull of “Spookville” for much longer without intervention. I read Her Last Whisper absolutely convinced that this would be Charlie’s last hurrah but I should have known better. Ms Robards played her cards close to her chest on this one springing a cliffhanger at the end guaranteed to make me crazy …okay crazier. Regardless in Her Last Whisper we are reminded precisely why Karen Robards is a legend and can only contemplate re-reading the first three Charlotte Stone novels and/or possibly everything else she has written while waiting for the fourth.